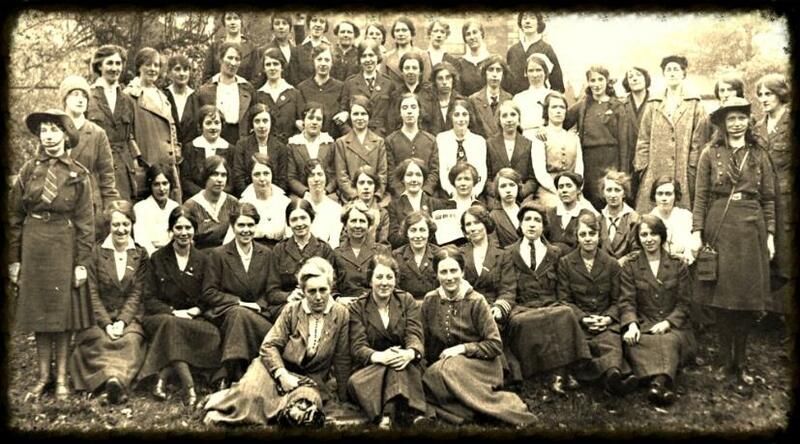 This photograph shows 60 of the Clann na nGaedheal, Cumann na mBan, and Irish Citizen Army women who took part in the Easter Rising. They were part of the GPO (General Post Office), Jacob’s, Marrowbone Lane, South Dublin Union and College of Surgeons garrisons. A meeting of the Irish National Aid Association and Volunteer Dependents' Fund was held in Mr. and Mrs. Ely O’Carroll’s house in Peter's Place, Dublin in the summer of 1916 and this photo was taken in their garden. While widely reproduced and the names of the women often given, there are discrepancies in the various lists. These discrepancies can be explained, in part, by the fact that there are at least two versions of the photograph, virtually identical. 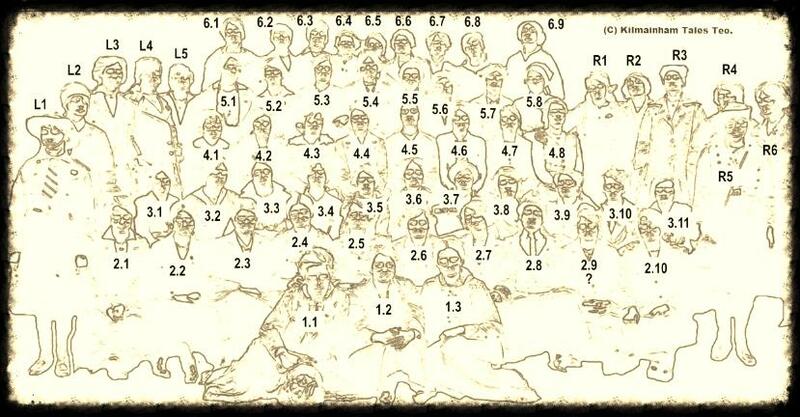 The women are all identified below from these lists, except for one (2.9, Row 2). This is the most accurate and comprehensive identification of these women available. (L5) and Brigid Foley (5.1) have swapped places, possibly so the two Foley sisters could be side by side in the photo below!. “Wild Irish Women: Extraordinary Lives From History” – Marian Broderick, The O’Brien Press, (2002).